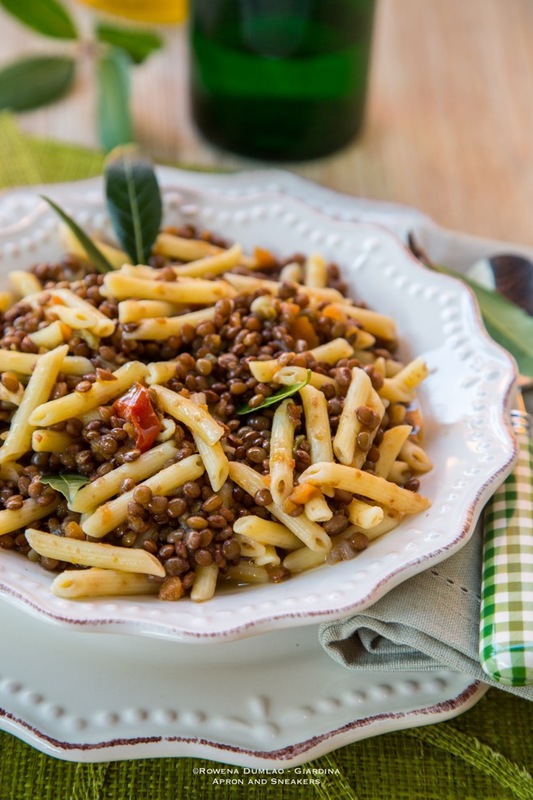 I started with the lentils of Abruzzo. 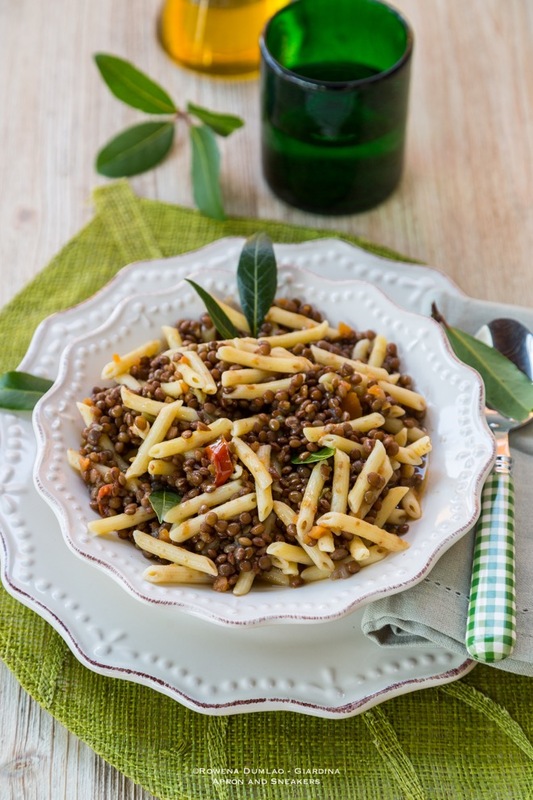 The good ones come from that area and the best being the lentils of Santo Stefano di Sessanio. They are smaller and darker, having a higher iron content than the rest of its counterpart. And they are tastier too. I mixed what remained of my stock from our last trip from Santo Stefano di Sessanio and I opened a new pack from the same region. Here, you will find another recipe I did with lentils cooked with red mullet plus some pictures of Santo Stefano di Sessanio. 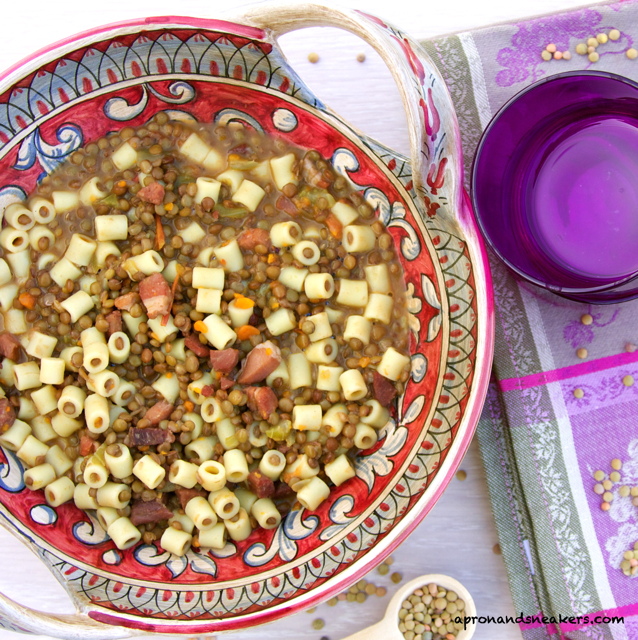 No one gets tired of lentil soup. There's nothing to negate about it really. It's healthy, tasty, easy to do and economical. I rarely do it at home, which I intend to correct immediately. The kids eat them without any untoward reactions which gives me a better reason to keep on cooking it. I usually cook the lentils the classic way with the usual vegetables but when I add the pancetta affumicata and speck, it becomes spectacularly delectable. The two kinds of ham together work their wonders in making this dish very good. Jazzing up boring dishes with savory characters just has to happen sometimes. 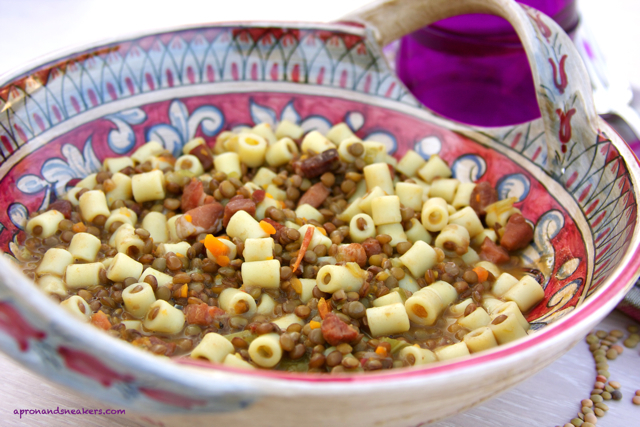 If you are vegetarian and would like the dish to be traditional, just take away the cured meat part and you will still enjoy this lentil and pasta soup. 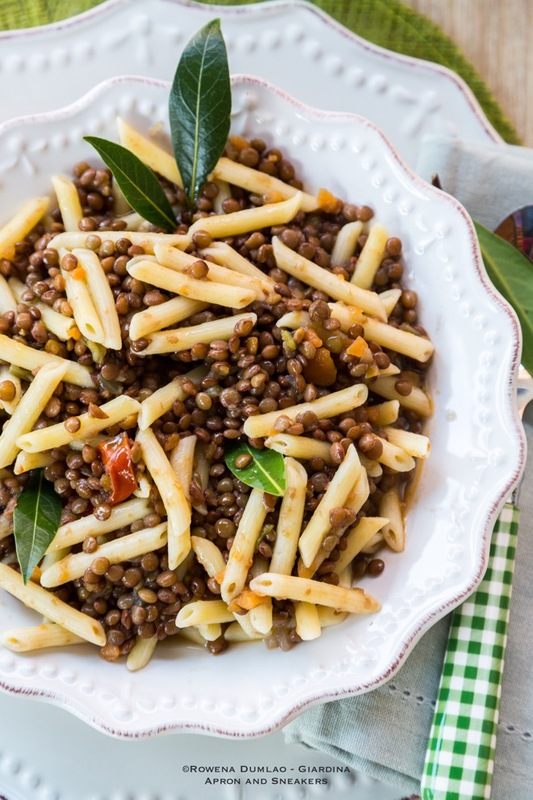 When we were in Santo Stefano di Sessanio last year, our guidebook advised us to eat at a nondescript trattoria (simple restaurant) for the best lentil soup in town. I asked the proprietor about the best way to cook the lentils. I was told to cook them with enough water, garlic, bay leaves & salt. It's as simple as that. Every Italian home has its own version of this dish. I often cook them with carrots and celery, which most people do. Sometimes I add white wine too. Fish can also go well with lentils like red mullet or smoked fish that I remember from my childhood. Lentils are flexible. They always taste good however you compose the dish. After trying out different ways, I think I will stick to this recipe. Over medium heat, in a large saucepan with extra virgin olive oil, sautè the garlic. After 2 minutes, add the onion, carrots and celery. Cook for another 5 minutes. Add the pancetta then toast for about 8 minutes. Add the tomatoes then cook for another 5 minutes. Add the lentils then toss them in the saucepan, about 3 minutes. Pour the hot vegetable broth and add the bay leaves. Bring it to a boil. When it boils, cover and simmer on low heat for about 30 minutes or until the lentils are tender. 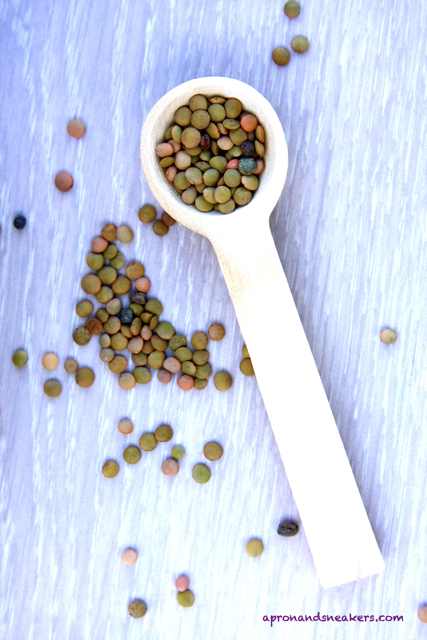 Cooking time always depends on the kind of lentils used. If it is drying up, add some hot water. Add the uncooked pasta and cook for 8 minutes (ditalini cooks for 8 minutes) or follow the cooking time of the pasta that you added. Drizzle with extra virgin olive oil and sprinkle with Parmigiano Reggiano if using.